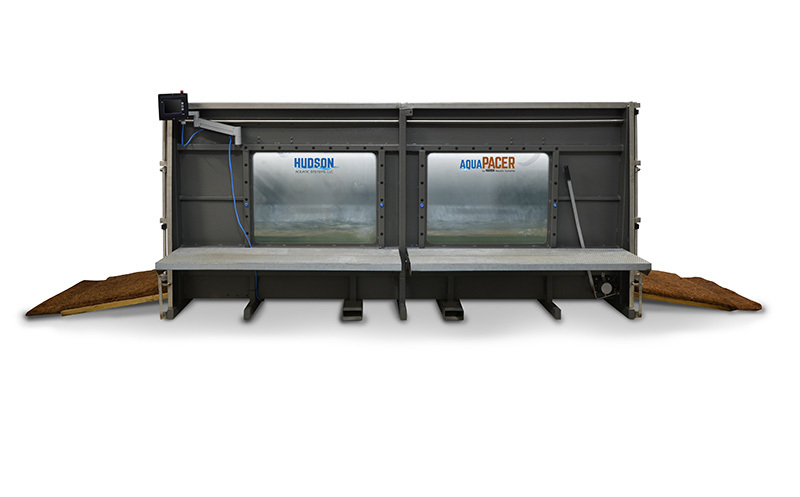 Hudson Aquatic’s AquaPacer underwater treadmill system is designed for the advanced development and improvement of equine athletes of all disciplines by offering low-impact, high-resistance therapy or workouts for faster recovery and rehabilitation from injury, optimal training and conditioning, and overall performance and fitness. Through the control of hot and cold water temperature, water height (to control buoyancy and resistance), speed and duration, equine trainers and veterinarians can utilize AquaPacer to customize a protocol for each equine’s specific needs. In addition, our underwater treadmill is commonly used for healthy equines needing more strength or endurance or to help correct gait imbalances. The AquaPacer will promote rapid build-up of muscle across the shoulders, hind end, and top line of the equine, as well as improve circulation and decrease inflammation. Contact Us to learn more about the AquaPacer. Payments as low as $1,700 per month. The AquaPacer comes standard with a 1,000 gallon (3,785 liter) water storage tank, electric heater, cartridge filter and recirculation pump – mounted on the backside of the treadmill.